Men in Toronto are a fashionable bunch, but thankfully, there are a bevy of options out there if you're looking to surprise your suavest friend or loved one. From fancy loungewear to artisanal grooming products, this city is brimming with gifting possibilities. Here are my picks for holiday gift ideas for men who love fashion in Toronto. Muddy George recently opened in Bloorcourt. And, it's one of two stores in Toronto that carries Vancouver-based brand DW Leatherworks accessories. These affordable, folded card wallets are easy to carry around in your pocket and come in four neutral colours (black, brown, tan and chestnut). Many jet-setters hate checking their bags because it makes traveling way less seamless. With the Standard Luggage backpack, which was successfully funded via Kickstarter, you can toss everything into a single bag that's guaranteed to fit in your overhead bin. 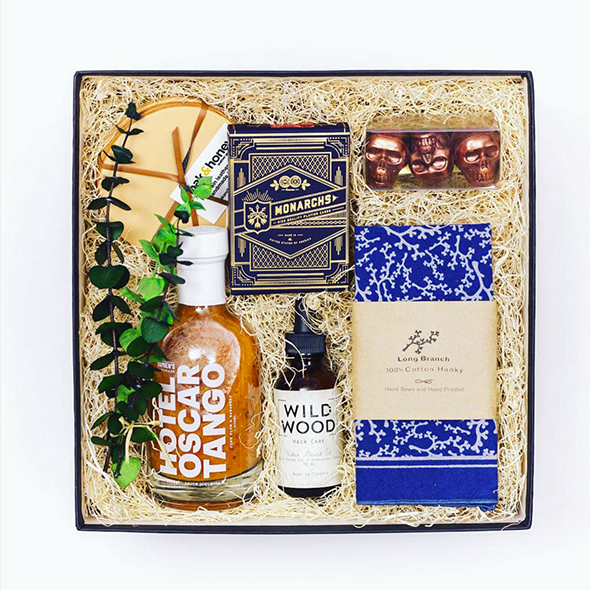 Order this artfully arranged gift box ($125) filled with local products, including a handmade handkerchief/pocket-square from RCBoisJoli Domestic Goods and a facial moisturizer from Rowan Homespun - it's suitable for those with or without facial hair. Gerhard Supply is filled with drool-worthy items, but most of them are not budget friendly. But, if you want to shop local, consider the 18 Waits tie ($95 yes, still pricey). They come in navy or charcoal grey wool - the same fabric 18 Waits uses to make its signature suits. The Legends League recently opened its first bricks-and-mortar store in Toronto, but it has been selling its streetwear since 2008. Pick up a grab box (because who doesn't like surprises? ), which will come stuffed with three items from LL's past collections. You can never go wrong with getting someone a t-shirt, especially one by United Stock Dry Goods. Pick up one of these incredibly soft tees at Sydney's. These made-in-Canada shirts come in plain, neutral colours or emblazoned with simple graphics. 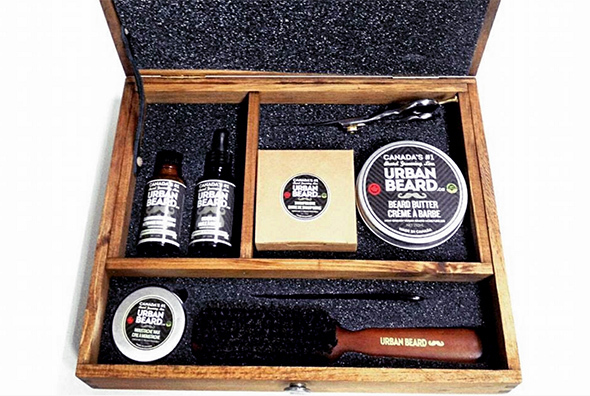 Give the gift of good grooming with the Urban Beard Box. It's filled with a variety of Urban Beard products, like beard butter, beard oil, trimming scissors and a beard brush. And gift-wrapping is easy because it all comes packaged in a handmade pine box. This rustic-looking scarf is an all-season accessory by local brand The Common-Folk. It's handmade in Toronto with fabric sources directly from Okayama, Japan. Despite being called a blanket scarf, the Kansai isn't duvet-sized. Rather, it looks and feels like a perfectly cozy blanket. Find one online or in limited quantities at Park & Province. Nike is the shoe brand du jour and this coveted, limited-edition pair of Air Max 1s is ideal for long walks around the city. 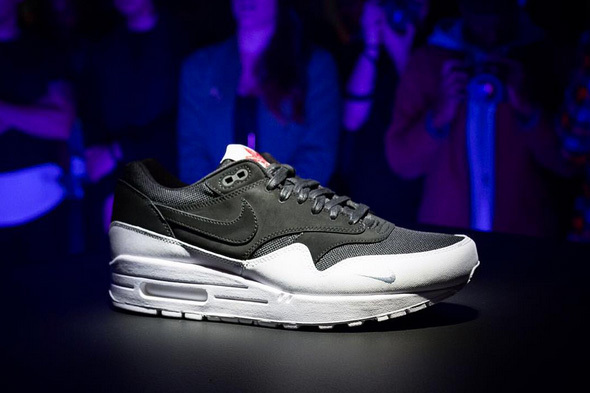 You'll have to wait until Sunday, December 6 to pick them up from a select group of Toronto retailers. Saul's Beauty Shop is an intimidating spa for people of all genders. And, it offers a myriad of services including the delightfully named "Majestic Facial Hair" treatment. With Saul's online store, it's even easier to pamper that special bearded someone in your life with this $40 conditioning facial. What did I miss? Add your fashionable gift suggestions to the comments.